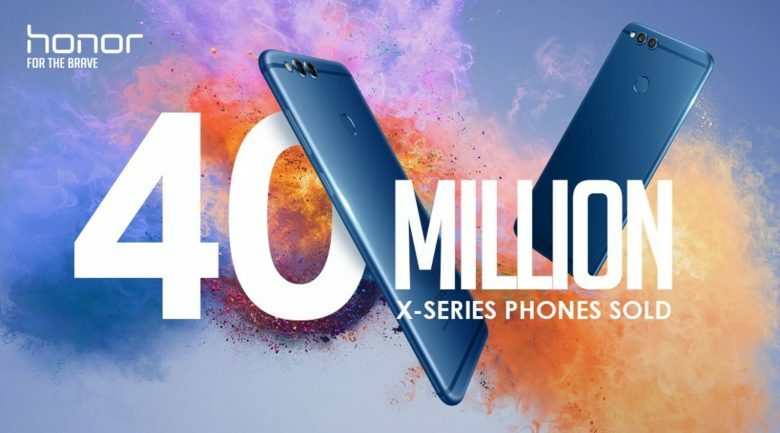 Honor celebrates their 40 million sales record for the X series - Playfuldroid! Earlier this afternoon, Honor had announced that the company has sold a total of more than 40 million units of smartphones from their X series, ranging for the Honor 4X to the most recent Honor 7X. According to the company, the Honor X series had saw a year-to-year growth in their sales numbers across most of the major markets. In London, the number of Honor 7X smartphone sold in the first two week has doubled the number of Honor 6X sold during the same period of time. In Russia on the other hand, the number was tripled and that brings the Chinese company into the list of top 3 mobile brands in the country. Other than that, the Chinese company had also made new records in other markets including the US, China, as well as India to name a few. Apart from that Honor X series, the company has also flared relatively well for their flagship series which of course include the latest Honor 9 smartphone. Just in case you’d missed out, the company had just announced the Honor 9 Youth Edition mid-ranger in China earlier today which offers a decent specs sheet at an affordable price tag starting from $182.